Dear Dr. B: How come we never hear of a force that the Higgs boson carries? First, I love your blog. You provide a great insight into the world of physics for us laymen. I have read in popular science books that the bosons are the ‘force carriers.’ For example the photon carries the electromagnetic force, the gluon, the strong force, etc. How come we never hear of a force that the Higgs boson carries? The short answer is that you never hear of a force that the Higgs boson carries because it doesn’t carry one. The longer answer is that not all bosons are alike. This of course begs the question just how the Higgs-boson is different, so let me explain. The standard model of particle physics is based on gauge symmetries. This basically means that the laws of nature have to remain invariant under transformations in certain internal spaces, and these transformations can change from one place to the next and one moment to the next. They are what physics call “local” symmetries, as opposed to “global” symmetries whose transformations don’t change in space or time. Amazingly enough, the requirement of gauge symmetry automatically explains how particles interact. It works like this. You start with fermions, that are particles of half-integer spin, like electrons, muons, quarks and so on. And you require that the fermions’ behavior must respect a gauge symmetry, which is classified by a symmetry group. Then you ask what equations you can possibly get that do this. Since the fermions can move around, the equations that describe what they do must contain derivatives both in space and in time. This causes a problem, because if you want to know how the fermions’ motion changes from one place to the next you’d also have to know what the gauge transformation does from one place to the next, otherwise you can’t tell apart the change in the fermions from the change in the gauge transformation. But if you’d need to know that transformation, then the equations wouldn’t be invariant. From this you learn that the only way the fermions can respect the gauge symmetry is if you introduce additional fields – the gauge fields – which exactly cancel the contribution from the space-time dependence of the gauge transformation. In the standard model the gauge fields all have spin 1, which means they are bosons. That's because to cancel the terms that came from the space-time derivative, the fields need to have the same transformation behavior as the derivative, which is that of a vector, hence spin 1. To really follow this chain of arguments – from the assumption of gauge symmetry to the presence of gauge-bosons – requires several years’ worth of lectures, but the upshot is that the bosons which exchange the forces aren’t added by hand to the standard model, they are a consequence of symmetry requirements. You don’t get to pick the gauge-bosons, neither their number nor their behavior – their properties are determined by the symmetry. In the standard model, there are 12 such force-carrying bosons: the photon (γ), the W+, W-, Z, and 8 gluons. They belong to three gauge symmetries, U(1), SU(2) and SU(3). Whether a fermion does or doesn’t interact with a gauge-boson depends on whether the fermion is “gauged” under the respective symmetry, ie transforms under it. Only the quarks, for example, are gauged under the SU(3) symmetry of the strong interaction, hence only the quarks couple to gluons and participate in that interaction. The so-introduced bosons are sometimes specifically referred to as “gauge-bosons” to indicate their origin. The Higgs-boson in contrast is not introduced by a symmetry requirement. It has an entirely different function, which is to break a symmetry (the electroweak one) and thereby give mass to particles. The Higgs doesn’t have spin 1 (like the gauge-bosons) but spin 0. Indeed, it is the only presently known elementary particle with spin zero. Sheldon Glashow has charmingly referred to the Higgs as the “flush toilet” of the standard model – it’s there for a purpose, not because we like the smell. The distinction between fermions and bosons can be removed by postulating an exchange symmetry between these two types of particles, known as supersymmetry. It works basically by generalizing the concept of a space-time direction to not merely be bosonic, but also fermionic, so that there is now a derivative that behaves like a fermion. In the supersymmetric extension of the standard model there are then partner particles to all already known particles, denoted either by adding an “s” before the particle’s name if it’s a boson (selectron, stop quark, and so on) or adding “ino” after the particle’s name if it’s a fermion (Wino, photino, and so on). There is then also Higgsino, which is the partner particle of the Higgs and has spin 1/2. It is gauged under the standard model symmetries, hence participates in the interactions, but still is not itself consequence of a gauge. In the standard model most of the bosons are also force-carriers, but bosons and force-carriers just aren’t the same category. To use a crude analogy, just because most of the men you know (most of the bosons in the standard model) have short hair (are force-carriers) doesn’t mean that to be a man (to be a boson) you must have short hair (exchange a force). Bosons are defined by having integer spin, as opposed to the half-integer spin that fermions have, and not by their ability to exchange interactions. In summary the answer to your question is that certain types of bosons – the gauge bosons – are a consequence of symmetry requirements from which it follows that these bosons do exchange forces. The Higgs isn’t one of them. 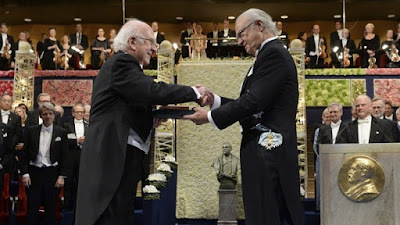 Peter Higgs receiving the Nobel Prize from the King of Sweden. If photons have a mass, would this mean special relativity is no longer valid? What are the requirements for a successful theory of quantum gravity? What do physicists mean when they say time doesn’t exist? See this laundry pile? Looks just like our universe. See it now? It’s got three dimensions and all. The shirts and towels, they’re really crinkled and interlocked two-dimensional surfaces. It’s one-dimensional yarn, knotted up tightly. I see it clearly now. It’s everything at once, one-two-three dimensional. Just depends on how closely you look at it. Amazing, don’t you think? What if our universe was just like that? It doesn’t sound like a sober thought, but it’s got math behind it, so physicists think there might be something to it. Indeed the math piled up lately. They call it “dimensional reduction,” the idea that space on short distances has fewer than three dimensions – and it might help physicists to quantize gravity. We normally think about dimensions of space by picturing lines which spread from a point. How quickly the lines dilute with the distance from the point tells us the “Hausdorff dimension” of a space. The faster the lines diverge from each other with distance, the larger the Hausdorff dimension. If you speak through a pipe, for example, sound waves spread less and your voice carries farther. The pipe hence has a lower Hausdorff dimension than our normal 3-dimensional office cubicles. It’s the Hausdorff dimension that we colloquially refer to as just dimension. Dimensional reduction is an attractive idea because quantizing gravity is considerably easier in lower dimensions where the infinities that plague traditional attempts to quantize gravity go away. A theory with a reduced number of dimensions at shortest distances therefore has much higher chances to remain consistent and so to provide a meaningful theory for the quantum nature of space and time. Not so surprisingly thus, among physicists, dimensional reduction has received quite some attention lately. This strange property of quantum-spaces was first found in Causal Dynamical Triangulation (hep-th/0505113), an approach to quantum gravity that relies on approximating curved spaces by triangular patches. In this work, the researchers did a numerical simulation of a random walk in such a triangulized quantum-space, and found that the spectral dimension goes down from four to two. Or actually to 1.80 ± 0.25 if you want to know precisely. Instead of doing numerical simulations, it is also possible to study the spectral dimension mathematically, which has since been done in various other approaches. For this, physicists exploit that the behavior of the random walk is governed by a differential equation – the diffusion equation – which depends on the curvature of space. In quantum gravity, the curvature has quantum fluctuations, and then it’s instead its average value which enters the diffusion equation. From the diffusion equation one then calculates the return probability for the random walk. This way, physicists have inferred the spectral dimension also in Asymptotically Safe Gravity (hep-th/0508202), an approach to quantum gravity which relies on the resolution-dependence (the “running”) of quantum field theories. And they found the same drop from four to two spectral dimensions. Another indication comes from Loop Quantum Gravity, where the scaling of the area operator with length changes at short distances. In this case is somewhat questionable whether the notion of curvature makes sense at all on short distances. But ignoring this, one can construct the diffusion equation and finds that the spectral dimension drops from four to two (0812.2214). And then there is Horava-Lifshitz gravity, yet another modification of gravity which some believe helps with quantizing it. Here too, dimensional reduction has been found (0902.3657). 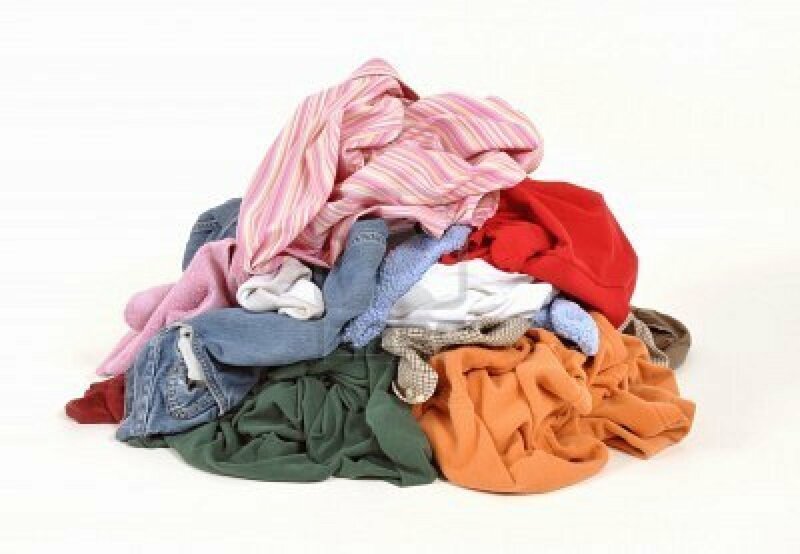 It is difficult to visualize what is happening with the dimensionality of space if it goes down continuously, rather than in discrete steps as in the example with the laundry pile. Maybe a good way to picture it, as Calcagni, Eichhorn and Saueressig suggest, is to think of the quantum fluctuations of space-time hindering a particle’s random walk, thereby slowing it down. It wouldn’t have to be that way. Quantum fluctuations could also kick the particle around wildly, thereby increasing the spectral dimension rather than decreasing it. But that’s not what the math tells us. I find it intriguing that several different approaches to quantum gravity share a behavior like this. Maybe it is a general property of quantum space-time. But then, there are many different types of random walks, and while these different approaches to quantum gravity share a similar scaling behavior for the spectral dimension, they differ in the type of random walk that produces this scaling (1304.7247). So maybe the similarities are only superficial. And of course this idea has no observational evidence speaking for it. Maybe never will. 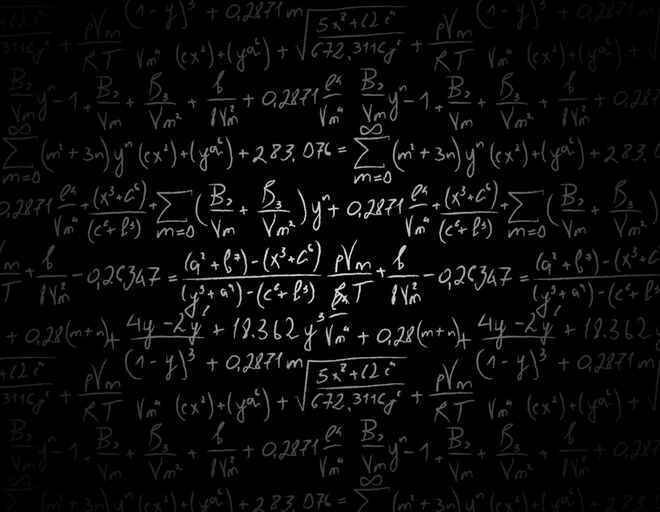 But one day, I’m sure, all the math will click into place and everything will make perfect sense. Meanwhile, have another. I'll be in Stockholm next week for a program on Black Holes and Emergent Spacetime, so please be prepared for some service interruptions. Before we start I have to warn you that the paper speaks a lot about realism and underdetermination, and I couldn’t figure out what exactly the authors mean with these words. Sure, I looked them up, but that didn’t help because there doesn’t seem to be an agreement on what the words mean. It’s philosophy after all. Personally, I subscribe to a philosophy I’d like to call agnostic instrumentalism, which means I think science is useful and I don’t care what else you want to say about it – anything from realism to solipsism to Carroll’s “poetic naturalism” is fine by me. In newspeak, I’m a whateverist – now go away and let me science. In any case, it turns out that it doesn’t matter much for the rest of the paper exactly what realism means to the authors – it’s a great paper also for an instrumentalist because it’s long enough so that, rolled up, it’s good to slap flies. The focus on scientific realism seems somewhat superfluous, but I notice that the paper is to appear in “The Routledge Handbook of Scientific Realism” which might explain it. It also didn’t become clear to me what the authors mean by underdetermination. Vaguely speaking, they seem to mean that a theory is underdetermined if it contains elements unnecessary to explain existing data (which is also what Wikipedia offers by way of definition). But the question what’s necessary to explain data isn’t a simple yes-or-no question – it’s a question that needs a quantitative analysis. In theory development we always have a tension between simplicity (fewer assumptions) and precision (better fit) because more parameters normally allow for better fits. Hence we use statistical measures to find out in which case a better fit justifies a more complicated model. I don’t know how one can claim that a model is “underdetermined” without such quantitative analysis. The authors of the paper for the most part avoid the need to quantify underdetermination by using sociological markers, ie they treat models as underdetermined if cosmologists haven’t yet agreed on the model in question. I guess that’s the best they could have done, but it’s not a basis on which one can discuss what will remain underdetermined. The authors for example seem to implicitly believe that evidence for a theory at high energies can only come from processes at such high energies, but that isn’t so – one can also use high precision measurements at low energies (at least in principle). In the end it comes down, again, to quantifying which model is the best fit. With this advance warning, let me tell you the three main philosophical issues which the authors discuss. Einstein’s field equations are local differential equations which describe how energy-densities curve space-time. 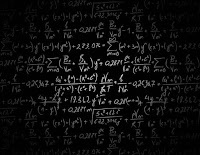 This means these equations describe how space changes from one place to the next and from one moment to the next, but they do not fix the overall connectivity – the topology – of space-time*. A sheet of paper is a simple example. It’s flat and it has no holes. If you roll it up and make a cylinder, the paper is still flat, but now it has a hole. You could find out about this without reference to the embedding space by drawing a circle onto the cylinder and around its perimeter, so that it can’t be contracted to zero length while staying on the cylinder’s surface. This could never happen on a flat sheet. And yet, if you look at any one point of the cylinder and its surrounding, it is indistinguishable from a flat sheet. The flat sheet and the cylinder are locally identical – but they are globally different. General Relativity thus can’t tell you the topology of space-time. But physicists don’t normally worry much about this because you can parameterize the differences between topologies, compute observables, and then compare the results to data. Topology is, in that, no different than any other assumption of a cosmological model. Cosmologists can, and have, looked for evidence of non-trivial space-time connectivity in the CMB data, but they haven’t found anything that would indicate our universe wraps around itself. At least so far. In the paper, the authors point out an argument raised by someone else (Manchak) which claims that different topologies can’t be distinguished almost everywhere. I haven’t read the paper in question, but this claim is almost certainly correct. The reason is that while topology is a global property, you can change it on arbitrarily small scales. All you have to do is punch a hole into that sheet of paper, and whoops, it’s got a new topology. Or if you want something without boundaries, then identify two points with each other. Indeed you could sprinkle space-time with arbitrarily many tiny wormholes and in that way create the most abstruse topological properties (and, most likely, lots of causal paradoxa). The topology of the universe is hence, like the topology of the human body, a matter of resolution. On distances visible to the eye you can count the holes in the human body on the fingers of your hand. On shorter distances though you’re all pores and ion channels, and on subatomic distances you’re pretty much just holes. So, asking what’s the topology of a physical surface only makes sense when one specifies at which distance scale one is probing this (possibly higher-dimensional) surface. I thus don’t think any physicist will be surprised by the philosophers’ finding that cosmology severely underdetermines global topology. What the paper fails to discuss though is the scale-dependence of that conclusion. Hence, I would like to know: Is it still true that the topology will remain underdetermined on cosmological scales? And to what extent, and under which circumstances, can the short-distance topology have long-distance consequences, as eg suggested by the ER=EPR idea? What effect would this have on the separation of scales in effective field theory? 2. Underdetermination of models of inflation. The currently most widely accepted model for the universe assumes the existence of a scalar field – the “inflaton” – and a potential for this field – the “inflation potential” – in which the field moves towards a minimum. While the field is getting there, space is exponentially stretched. At the end of inflation, the field’s energy is dumped into the production of particles of the standard model and dark matter. This mechanism was invented to solve various finetuning problems that cosmology otherwise has, notably that the universe seems to be almost flat (the “flatness problem”), that the cosmic microwave background has the almost-same temperature in all directions except for tiny fluctuations (the “horizon problem”), and that we haven’t seen any funky things like magnetic monopoles or domain walls that tend to be plentiful at the energy scale of grand unification (the “monopole problem”). Trouble is, there’s loads of inflation potentials that one can cook up, and most of them can’t be distinguished with current data. Moreover, one can invent more than one inflation field, which adds to the variety of models. So, clearly, the inflation models are severely underdetermined. I’m not really sure why this overabundance of potentials is interesting for philosophers. This isn’t so much philosophy as sociology – that the models are underdetermined is why physicists get them published, and if there was enough data to extract a potential that would be the end of their fun. Whether there will ever be enough data to tell them apart, only time will tell. Some potentials have already been ruled out with incoming data, so I am hopeful. The questions that I wish philosophers would take on are different ones. To begin with, I’d like to know which of the problems that inflation supposedly solves are actual problems. It only makes sense to complain about finetuning if one has a probability distribution. In this, the finetuning problem in cosmology is distinctly different from the finetuning problems in the standard model, because in cosmology one can plausibly argue there is a probability distribution – it’s that of fluctuations of the quantum fields which seed the initial conditions. So, I believe that the horizon problem is a well-defined problem, assuming quantum theory remains valid close by the Planck scale. I’m not so sure, however, about the flatness problem and the monopole problem. I don’t see what’s wrong with just assuming the initial value for the curvature is tiny (finetuned), and I don’t know why I should care about monopoles given that we don’t know grand unification is more than a fantasy. Then, of course, the current data indicates that the inflation potential too must be finetuned which, as Steinhardt has aptly complained, means that inflation doesn’t really solve the problem it was meant to solve. But to make that statement one would have to compare the severity of finetuning, and how does one do that? Can one even make sense of this question? Where are the philosophers if one needs them? Finally, I have a more general conceptual problem that falls into the category of underdetermination, which is to which extent the achievements of inflation are actually independent of each other. Assume, for example, you have a theory that solves the horizon problem. Under which circumstances does it also solve the flatness problem and gives the right tilt for the spectral index? I suspect that the assumptions for this do not require the full mechanism of inflation with potential and all, and almost certainly not a very specific type of potential. Hence I would like to know what’s the minimal theory that explains the observations, and which assumptions are really necessary. 3. Underdetermination in the multiverse. Many models for inflation create not only one universe, but infinitely many of them, a whole “multiverse”. In the other universes, fundamental constants – or maybe even the laws of nature themselves – can be different. How do you make predictions in a multiverse? You can’t, really. But you can make statements about probabilities, about how likely it is that we find ourselves in this universe with these particles and not any other. To make statements about the probability of the occurrence of certain universes in the multiverse one needs a probability distribution or a measure (in the space of all multiverses or their parameters respectively). Such a measure should also take into account anthropic considerations, since there are some universes which are almost certainly inhospitable for life, for example because they don’t allow the formation of large structures. In their paper, the authors point out that the combination of a universe ensemble and a measure is underdetermined by observations we can make in our universe. It’s underdetermined in the same what that if I give you a bag of marbles and say the most likely pick is red, you can’t tell what’s in the bag. I think physicists are well aware of this ambiguity, but unfortunately the philosophers don’t address why physicists ignore it. Physicists ignore it because they believe that one day they can deduce the theory that gives rise to the multiverse and the measure on it. To make their point, the philosophers would have had to demonstrate that this deduction is impossible. I think it is, but I’d rather leave the case to philosophers. For the agnostic instrumentalist like me a different question is more interesting, which is whether one stands to gain anything from taking a “shut-up-and-calculate” attitude to the multiverse, even if one distinctly dislikes it. Quantum mechanics too uses unobservable entities, and that formalism –however much you detest it – works very well. It really adds something new, regardless of whether or not you believe the wave-function is “real” in some sense. For what the multiverse is concerned, I am not sure about this. So why bother with it? Consider the best-case multiverse outcome: Physicists will eventually find a measure on some multiverse according to which the parameters we have measured are the most likely ones. Hurray. Now forget about the interpretation and think of this calculation as a black box: You put in math one side and out comes a set of “best” parameters the other side. You could always reformulate such a calculation as an optimization problem which allows one to calculate the correct parameters. So, independent of the thorny question of what’s real, what do I gain from thinking about measures on the multiverse rather than just looking for an optimization procedure straight away? Yes, there are cases – like bubble collisions in eternal inflation – that would serve as independent confirmation for the existence of another universe. But no evidence for that has been found. So for me the question remains: under which circumstances is doing calculations in the multiverse an advantage rather than unnecessary mathematical baggage? I think this paper makes a good example for the difference between philosophers’ and physicists’ interests which I wrote about in my previous post. It was a good (if somewhat long) read and it gave me something to think, though I will need some time to recover from all the -isms. Philosophy isn’t useful for practicing physicists. On that, I am with Steven Weinberg and Lawrence Krauss who have expressed similar opinions. But I think it’s an unfortunate situation because physicists – especially those who work on the foundations of physics – could need help from philosophers. Massimo Pigliucci, a Prof for Philosophy at CUNY-City College, has ingeniously addressed physicists’ complaints about the uselessness of philosophy by declaring that “the business of philosophy is not to advance science.” Philosophy, hence, isn’t just useless, but it’s useless on purpose. I applaud. At least that means it has a purpose. But I shouldn’t let Massimo Pigliucci speak for his whole discipline. I’ve been told for what physics is concerned there are presently three good philosophers roaming Earth: David Albert, Jeremy Butterfield, and Tim Maudlin. It won’t surprise you to hear that I have some issues to pick with each of these gentlemen, but mostly they seem reasonable indeed. I would even like to nominate a fourth Good Philosopher, Steven Weinstein from UoW, with whom even I haven’t yet managed to disagree. The good Maudlin, for example, had an excellent essay last year on PBS NOVA, in which he argued that “Physics needs Philosophy.” I really liked his argument until he wrote that “Philosophers obsess over subtle ambiguities of language,” which pretty much sums up all that physicists hate about philosophy. Maybe, I admit, it shouldn’t be the philosophers’ job to spell out how to remove the ambiguities in language. Maybe that should already be the job of physicists. But regardless of whom you want to assign the task of reaching across the line, presently little crosses it. Few practicing physicists today care what philosophers do or think. And as someone who has tried to write about topics on the intersection of both fields, I can report that this disciplinary segregation is meanwhile institutionalized: The physics journals won’t publish on the topic because it’s too much philosophy, and the philosophy journals won’t publish because it’s too much physics. In a recent piece on Aeon, Pigliucci elaborates on the demarcation problem, how to tell science from pseudoscience. He seems to think this problem is what underlies some physicists’ worries about string theory and the multiverse, worries that were topic of a workshop that both he and I attended last year. But he got it wrong. While I know lots of physicists critical of string theory for one reason or the other, none of them would go so far to declare it pseudoscience. No, the demarcation problem that physicists worry about isn’t that between science and pseudoscience. It’s that between science and philosophy. It is not without irony that Pigliucci in his essay conflates the two fields. Or maybe the purpose of his essay was an attempt to revive the “string wars,” in which case, wake me when it’s over. To me, the part of philosophy that is relevant to physics is what I’d like to call “pre-science” – sharpening questions sufficiently so that they can eventually be addressed by scientific means. Maudlin in his above mentioned essay expressed a very similar point of view. Philosophers in that area are necessarily ahead of scientists. But they also never get the credit for actually answering a question, because for that they’ll first have to hand it over to scientists. Like a psychologist, thus, the philosopher of physics succeeds by eventually making themselves superfluous. It seems a thankless job. There’s a reason I preferred studying physics instead. Hence, I wish there were more philosophers willing to make it their business to advance science and to communicate across the boundaries. Maybe physicists would complain less that philosophy is useless if it wasn’t useless. bump. Img Src: Matt Strassler. I finished high school in 1995. It was the year the top quark was discovered, a prediction dating back to 1973. As I read the articles in the news, I was fascinated by the mathematics that allowed physicists to reconstruct the structure of elementary matter. It wouldn’t have been difficult to predict in 1995 that I’d go on to make a PhD in theoretical high energy physics. Little did I realize that for more than 20 years the so provisional looking standard model would remain undefeated world-champion of accuracy, irritatingly successful in its arbitrariness and yet impossible to surpass. We added neutrino masses in the late 1990s, but this idea dates back to the 1950s. The prediction of the Higgs, discovered 2012, originated in the early 1960s. And while the poor standard model has been discounted as “ugly” by everyone from Stephen Hawking to Michio Kaku to Paul Davies, it’s still the best we can do. For the last ten years you’ve been told that the LHC must see some new physics besides the Higgs because otherwise nature isn’t “natural” – a technical term invented to describe the degree of numerical coincidence of a theory. I’ve been laughed at when I explained that I don’t buy into naturalness because it’s a philosophical criterion, not a scientific one. But on that matter I got the last laugh: Nature, it turns out, doesn’t like to be told what’s presumably natural. 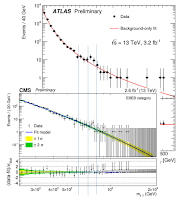 The idea of naturalness that has been preached for so long is plainly not compatible with the LHC data, regardless of what else will be found in the data yet to come. And now that naturalness is in the way of moving predictions for so-far undiscovered particles – yet again! – to higher energies, particle physicists, opportunistic as always, are suddenly more than willing to discard of naturalness to justify the next larger collider. Now that the diphoton bump is gone, we’ve entered what has become known as the “nightmare scenario” for the LHC: The Higgs and nothing else. Many particle physicists thought of this as the worst possible outcome. It has left them without guidance, lost in a thicket of rapidly multiplying models. Without some new physics, they have nothing to work with that they haven’t already had for 50 years, no new input that can tell them in which direction to look for the ultimate goal of unification and/or quantum gravity. 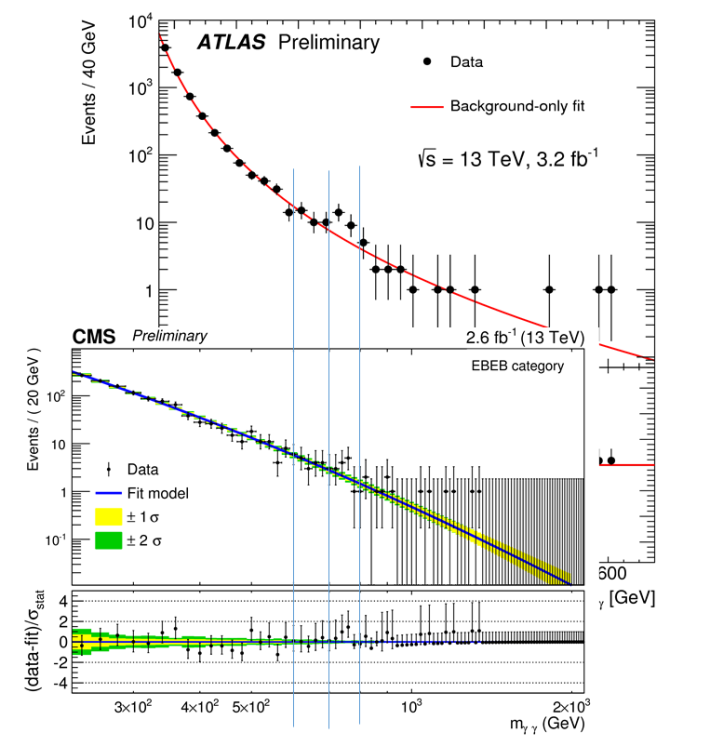 That the LHC hasn’t seen evidence for new physics is to me a clear signal that we’ve been doing something wrong, that our experience from constructing the standard model is no longer a promising direction to continue. We’ve maneuvered ourselves into a dead end by relying on aesthetic guidance to decide which experiments are the most promising. I hope that this latest null result will send a clear message that you can’t trust the judgement of scientists whose future funding depends on their continued optimism.